It’s snowing today in New Jersey. Just as it was snowing last week. And the week before. And the week before that. In fact it’s been snowing every week for the whole month. Sometimes twice. 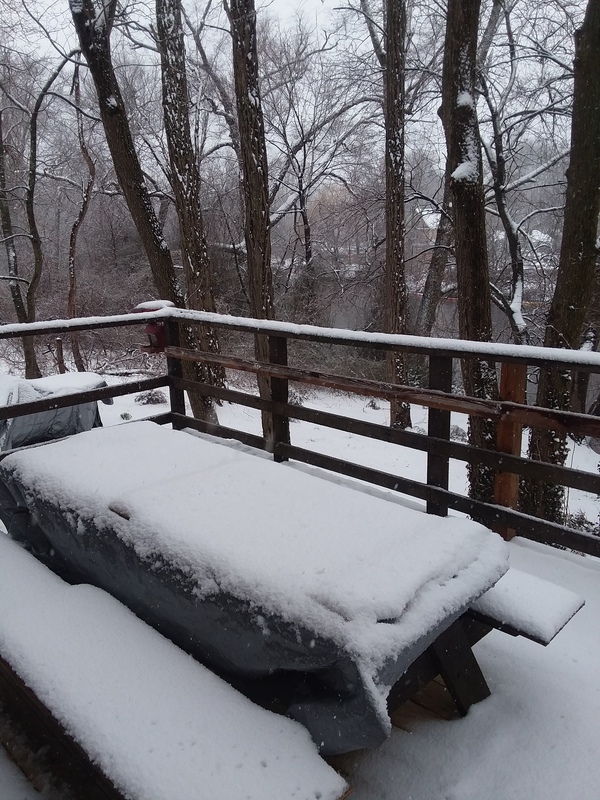 Here’s my picnic table, covered with plastic on my deck, still uncovered for the season because I don’t remember the last time I saw sun. On the East Coast, we’ve had four Nor’easters, three in the last two weeks. 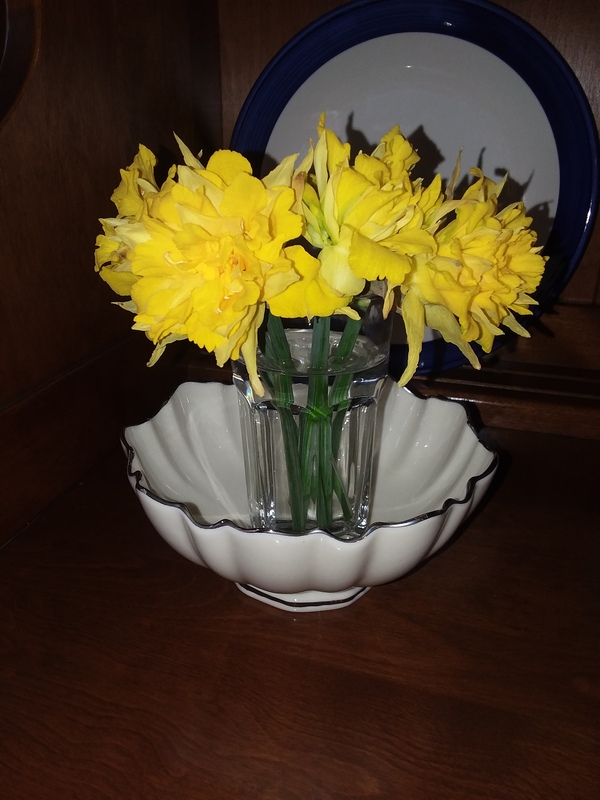 Yesterday was the first day of spring, and two days ago, my husband absconded with these daffodils from the neighbor’s backyard. (So lovely, aren’t they? Everything illicit always is! )The yard should be full of them by now, but Spring seems to be on hiatus until nature gets done with it tantrum. Maybe its just getting back at us for ignoring its maintenance so long. Like cleaning up after ourselves when we take a dump on it, for not respecting it, for not putting our money where our drain pipe is. Makes me wonder what it looks like in Paris this spring, where the rest of the world seems so much more in accord. Previous PostMeet Writers! Editors and Agents in the Flesh! And there’s a bar, too!Next PostThe bestest, most glorious Executive Board of any Writers Organization and Conference Ever!